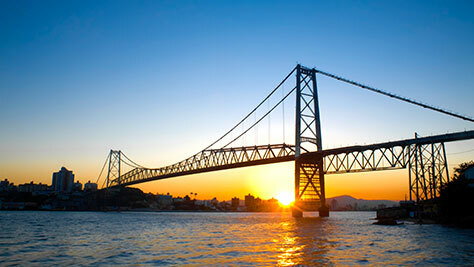 Florianopolis is a floating city, situated entirely on top of an island in the sea. 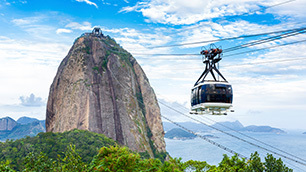 It is a beautiful island paradise which has not gone unnoticed by Brazilians and foreigners alike. 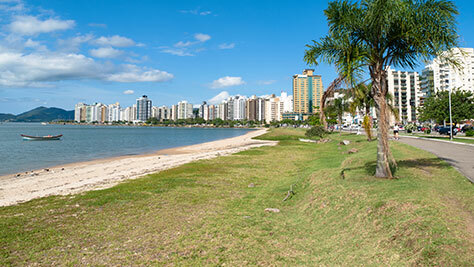 Many have moved to Florianopolis to live the easy life, and brought with them a surge in the economy. This has resulted in many large new shopping malls, high-end restaurants and glamourous bars and night clubs. 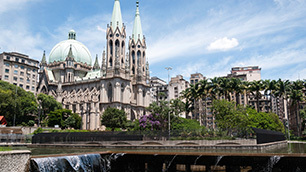 The amount of foreign residents are also high, so the city has a very friendly feel. This city has a bounty of 42 beaches to lounge on, each within easy reach of the city, and each absolutely gorgeous. The beaches also offer beach shacks, which will keep you fueled up, as well as watersports including paragliding, scuba-diving, surfing, and windsurfing. 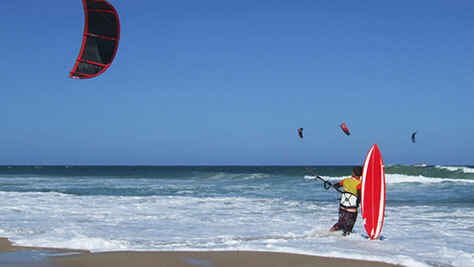 At Praia da Joaquina, you can even try your hand at sandboarding. The island also offers beautiful hiking trails, which often end at an equally beautiful beach. 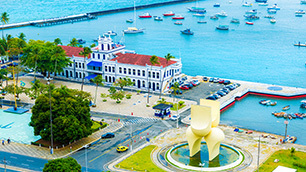 If you are tired of the sea, the city itself offers many shopping malls, bars, and nightclubs to party the nights away. 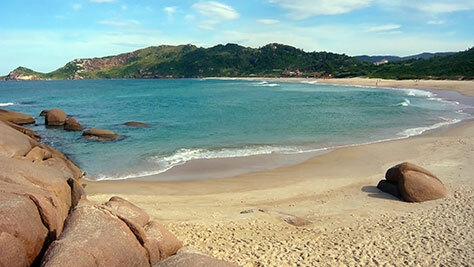 Be sure to eat the fresh seafood that Florianopolis is known Brazil-wide for!